Throughout the Internet, the selection for outdoor teak garden furniture is as wide-ranging as its prices. This leaves many shoppers to often wonder why there is such a large range in price for products that look so similar. The difference is in quality. Though helpful, pictures cannot give you a fair representation of quality...and service. We're glad that you're making this effort to learn more before making your purchasing decision and hope that the information and knowledge that we share will help make the difference. How is Westminster Teak’s Garden furniture different? As one of the leading online distributors of teak furniture in North America, Westminster Teak Furniture recognizes the influence it plays on the industry and the impact it has on the environment, specifically in regard to forest conservation and management. We have made it our company’s policy to source our teak wood from sustainably harvested and credibly certified plantations. Our factory, the first to join Nusa Hijau, the Indonesian Chapter of the Global Forest Trade Network (GFTN), an initiative of WWF® (World Wildlife Fund) in the archipelago, purchases wood only from plantations managed by Perum Perhutani (The Ministry Of Forestry), whose primary mission is to eliminate illegal logging and improve the management of threatened forests. It also works to promote biodiversity and the livelihoods of the people that depend on them. 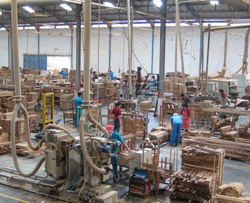 A very large percentage of furniture coming out of Indonesia comes from the cottage industry. 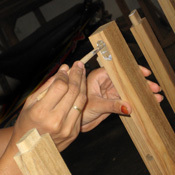 With exceptionally low labor cost, ’handmade’ teak furniture there could be produced at a price we in the US could hardly get for the cost of lumber. ’Cottage-industry’ in Indonesia -- usually operated through a loose network of home-based carpenters, craftsmen and artisans where entire families work on a particular type of teak furniture -- also means there are no actual quality control procedures or processes to follow. There are no set guidelines in the selection of even basic raw materials such as teak wood, which very likely do not come from certified plantations. 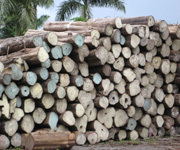 This makes the sourcing of the teakwood by both local and international standards, illegal. There are no set manufacturing production standards and procedures to follow and no modern equipment such as commercial kilns and modern plant tools and equipment, etc. These places lack the most basic modern tools we take for granted. So, the next time you shop for teak garden furniture, or any other hardwood furniture, floor or lumber for that matter, ask for the source. We know exactly where ours come from. ’Handmade’ may suggest quality and tradition here in the US but without the proper precision tools and selected raw materials, quality is often greatly compromised, especially when the furniture concerned is to be used outdoors and expected to last for a long, long time. ’Handmade’ is not synonymous with quality. Check for the following pertinent factors in construction that highlights the difference in quality. Like genuine leather and other luxury materials we’ve come to appreciate, there are varying qualities of teak wood. Westminster Teak Furniture uses only premium grade 100% Tectona grandis, teakwood. Only the finest cuts are selected and used in the production of our patio furniture. Much of the lumber used in the cottage industry is of secondary quality that may include sapwood. We use only select kiln-dried teakwood with characteristics that include: straight grain structure, absence of knots, splits or cracks and, an even tone in color. 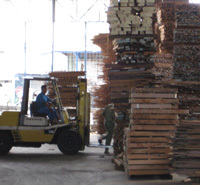 Our process takes about two weeks of kiln drying to achieve a moisture content of about 10% and an additional 3 to 4 weeks or so of ’resting’ to allow the wood to reabsorb moisture in the air. This natural ’ re-absorption of moisture’ process will ensure that the teak wood regains its dimensional stability and will not warp or split during or after the manufacturing process. This crucial stage of reabsorbing moisture also ensures the stability of the teak outdoor furniture to withstand the rigors of climatic changes. All critical connections are made in the traditional mortise-and-tenon joinery with the strictest tolerances. Each piece is precision cut to ensure perfect fit using only high performance weatherproof glues. Without the use of modern machinery to produce precision cuts, the structural integrity of the furniture (especially for outdoor furniture) will always be in question. Because all our furniture are hand-assembled then hand-sanded to a ’micro-finish’ ... you could say, they are very much, ’handmade’. Each of our furniture pieces comes with each own set of solid teak dowels that are pre-dried to a moisture content much lower than that of the furniture. This has been so designed to allow the dowels to reabsorb moisture from the air, creating an extraordinarily strong joint once fitted into the furniture. Only premium quality brass hardware is used in our furniture. Beware of ’plated’ or other alloys that are often passed off as brass. We have also begun to combine and will continue the use of other materials such as stainless steel in our designs. Our research has shown that teak complements well with stainless steel and the market’s response to it is positive as well. Every piece of teak furniture does not leave the factory without being inspected not only for quality in construction but for smoothness to the touch as well. Every piece is sanded with very fine grit sandpaper and buffed to a fine ’micro’ finish that is silky smooth to the touch. We take pride in how we build our furniture and care very much in ensuring that you will receive them as beautifully as they were made, at your doorstep. We've made every effort (and always striving to improve) to make sure that every piece of furniture reaches your home the same way it left our warehouses. The packaging of every box is inspected before each shipment Most packages (except for small boxes) are often hand-crated before they leave our warehouses. There are no shortcuts in producing a quality product. Outdoor teak furniture should age gracefully and last through many changes of the seasons. Any shortcuts taken will quickly show up within the first year -- as warping, splitting, cracking, etc. Do not hesitate to look thoroughly at a piece of furniture the next time you go shopping for chairs or a table. Look closely at the joints, look at its underside, feel the finish. 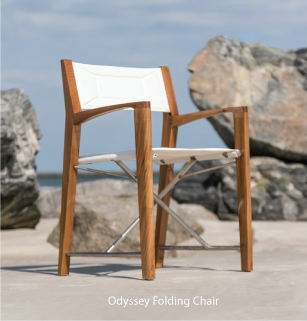 We guarantee that no other manufacturer can come close to our pursuit of the ultimate teak outdoor furniture. Just ask the Wall Street Journal!